Kind of random right? I know, I know but hear me out. I have been enjoying one of the best ice cream flavors I’ve ever had at a local candy shop down the street from me called B Candy. They are located in Corona Del Mar and have a bakery and homemade ice creams. I would have never even been tempted to try “Frosted Flakes” ice cream, but got a sample just for the heck of it. It was sweet and a tad bit salty and sent my tastebuds over the moon. Can’t seem to get enough of it. With Frosted Flakes on my brain lately the above cookies have been born. These are over the top sweet with little crunches of Frosted Flakes throughout. Crispy on the outsides, chewy on the center. Do yourself a favor and make theses. Now. Seriously. Ingredient line up. Simple pantry items. I have to be honest. We don’t keep Frosted Flakes stocked in our house, probably because we’d go through a box a day. I forgot how tasty these little flakes are. Yum! You’ll measure out 1 cup of cereal. Place it in a Ziploc bag, close it and roll over it with a rolling pin until finely crushed. Time to get started with your butter and sugars. I snuck in a few tablespoons of vanilla instant pudding mix for a lovely texture and sweetness. Bring on the Frosted Flakes! Just you wait until you take a taste of this dough! To die for. 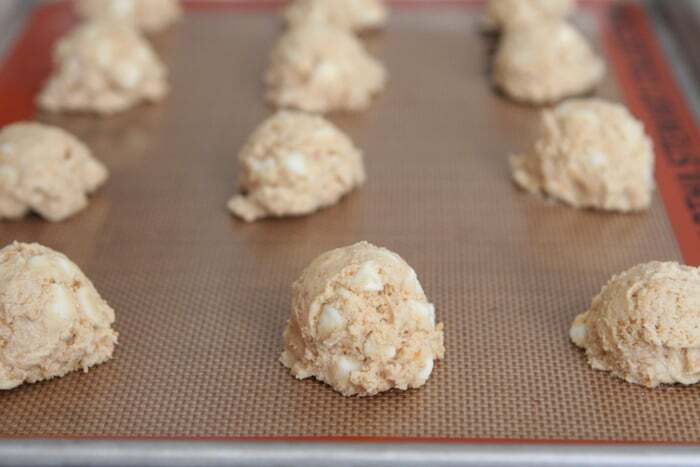 These are officially going on my “make all the time” cookie list. Cream butter and sugars in stand mixer until well combined, about 2 minutes. Add egg and vanilla beating to combine. 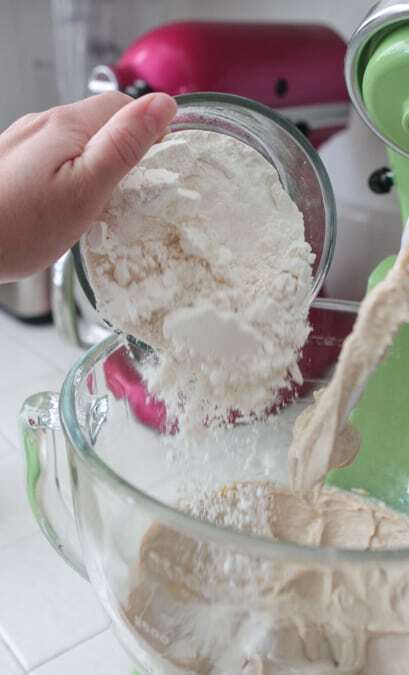 Slowly add flour, salt, baking soda and pudding mix. Place 1 cup of cereal into a ziploc bag, zip it closed and crush cereal by rolling over with a rolling pin until finely ground. 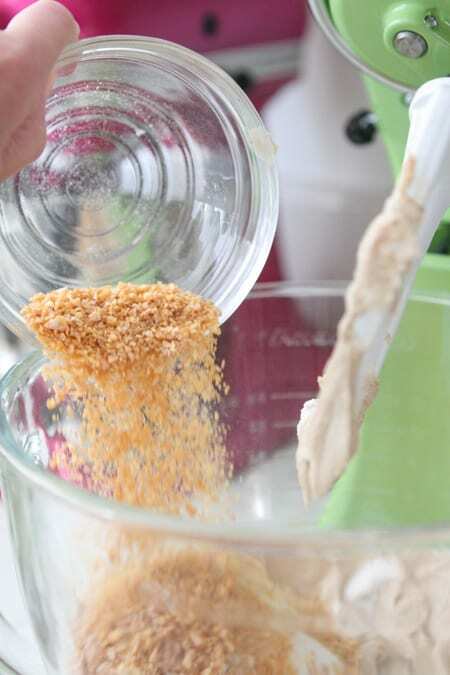 Add crushed cereal to bowl mixing to combine. Add white chips stirring to combine. 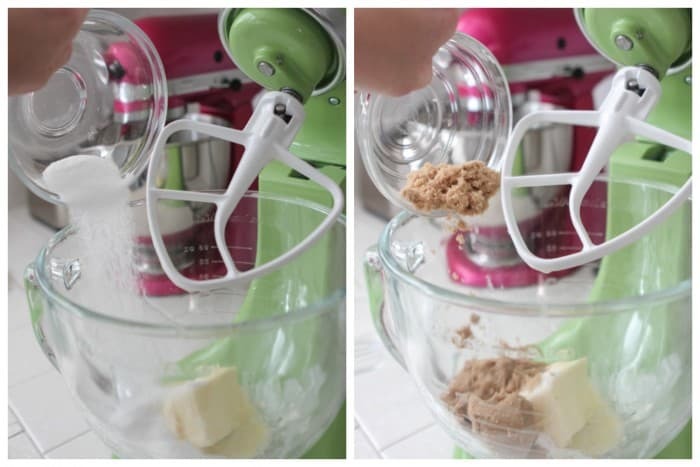 With a medium cookie scoop, place dough 1 inch apart from each other on prepared baking sheet. Bake for 10-12 minutes, until baked through. Remove from oven and let cool on baking sheet for 10 minutes before transferring. Serve and enjoy! These cookies just put me over the moon because I am such a sugary cold cereal lover! I love that you tried the Frosted Flakes ice cream; I have been known to dump chocolate rice crispies onto my chocolate ice cream, while eating it, um, straight out of the tub. YIKES. 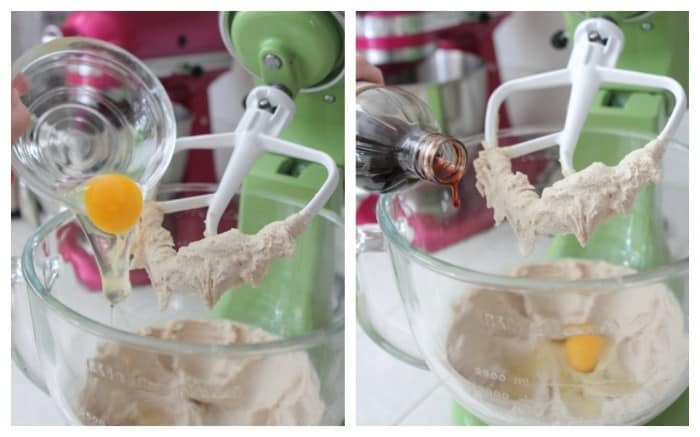 Wet and dry ingredients =a perfect excuse to have 2 KitchenAid mixers!!!!! I love it! What a cool idea. I love it! 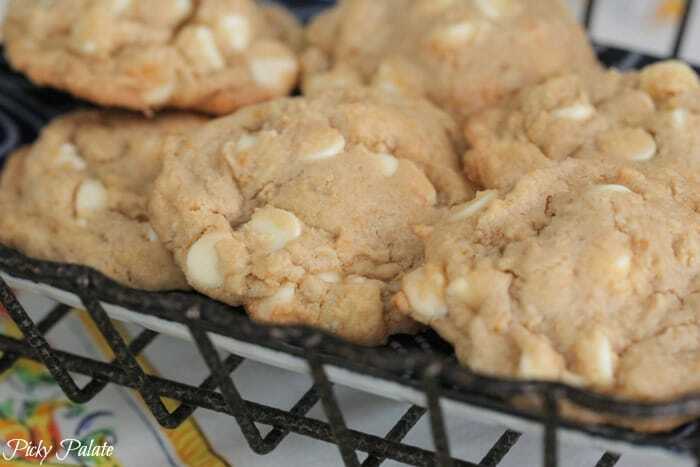 The frosted flakes sound delicious with the white chocolate and these cookies look perfect! Really you make a perfect cookie every time! Those cookies look so moist and delicious! And putting frosted flakes into them is a great idea, I never would have thought to do that. Thanks for sharing this great recipe! Josh will love these! He loves Frosted Flakes! I totally love Frosted Flakes. Can’t wait to try these!! I need to make these for Little Buddy! He will love them!!! Cereal in cookies? Get outta here! I totally need these cookies – how fun! Oh I loved Frosted Flakes as a kid! I’ll take two dozen, thank you! I don’t know about you, but I need those for breakfast. I have been wanting to be the bigger person and not go for the “They’re GRRRReeat! !” Frosted Flakes tag line, but seriously they do look utterly GRREEATT!! These would send me over the moon too! 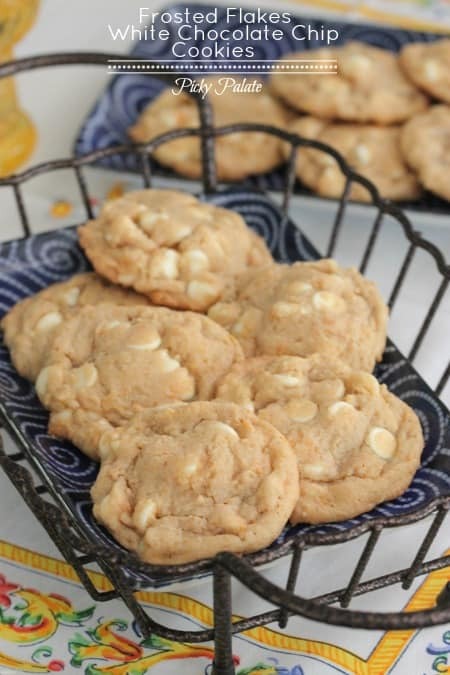 I would not have thought to use corn flakes in cookies but it sounds so good! 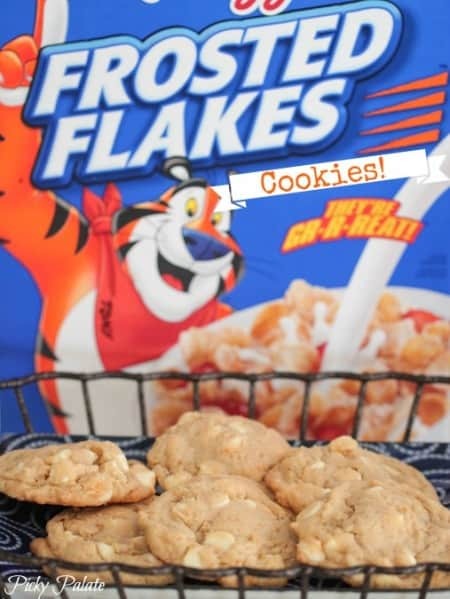 Yum…..trying to whittle down a little for summer so I was wondering if you substitute Special K for the Frosted Flakes does that make this a low cal cookie? Haha, I think special K would be just fine as a substitute! oh jenny!! What are you doing to me!!!??? Was waiting for these!! AMAZING!! (you know we’re making them… ;-D ). 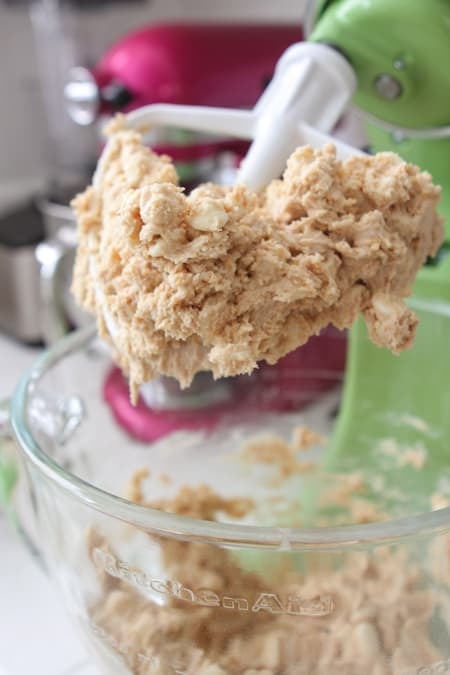 When my youngest daughter was in high school, she and her best friend came up with a recipe that used frosted flakes, peanut butter and chocolate chips. I think they just dumped it all in a bowl and microwaved it. It was so yummy and addicting. 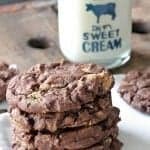 I think these cookies will be the same way – definitely will try them! I love this! I love the addition of that added crunch that Tony the Tiger will deliver! 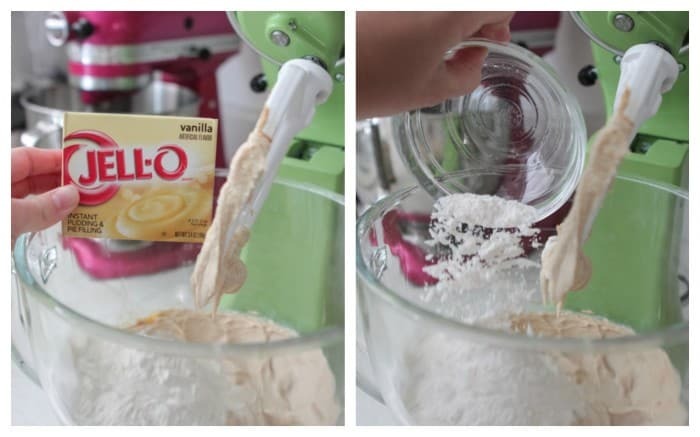 I truly need to try adding pudding mix into my cookie batter. This looks incredible, Jenny! My kids would love these cookies!!! My parents left a big box of Frosted Flakes at our house after visiting this weekend, and I was literally thinking this morning what creative dessert I could make out of them. This may be IT! 🙂 What great timing, Jenny! Whaaat. That is an awesome idea! These look SO delish! 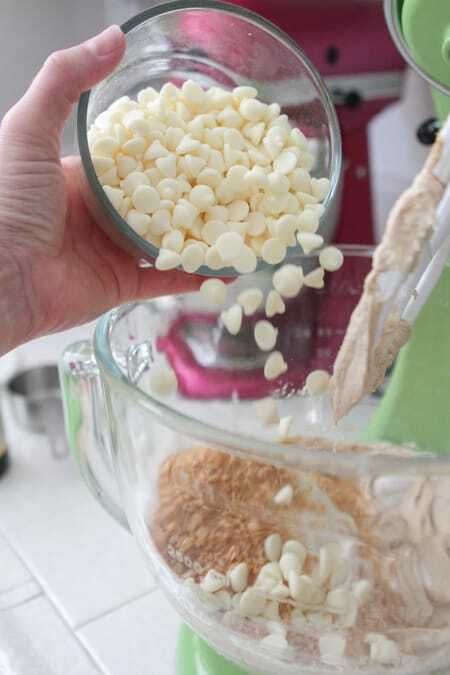 These look so good will make them this weekend for a volleyball end-of-year party! Thanks!! I can’t keep that cereal in the house either, due to the magically disappearing cereal act that seems to happen afterwards. But these look so amazing. 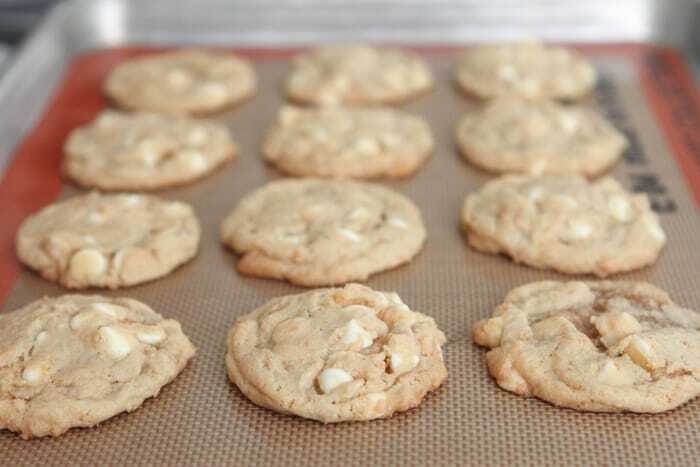 White chocolate is the perfect pairing! These sound like so much fun!!!! I’m going to have to try them the next time I buy a box. I LOVE frosted flakes! Totally making these! What an interesting combo! They look great!! Oh Jenny, my kids would go nuts over these! 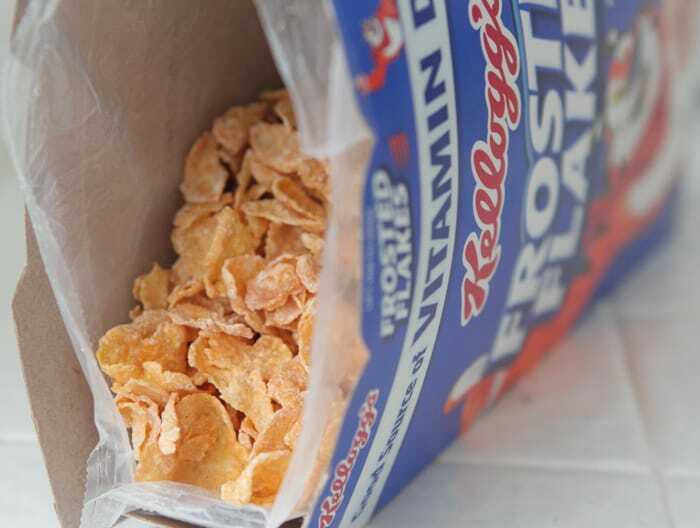 I’m like you, we’d go through a box a day if we had Frosted Flakes in our house. We already do that with Frosted Mini Wheats 🙂 Love the idea of using the frosted flakes in a cookie. Creative! I love seeing what you come up with. How many ‘flop’ recipes do you make before coming up with such a good one?! 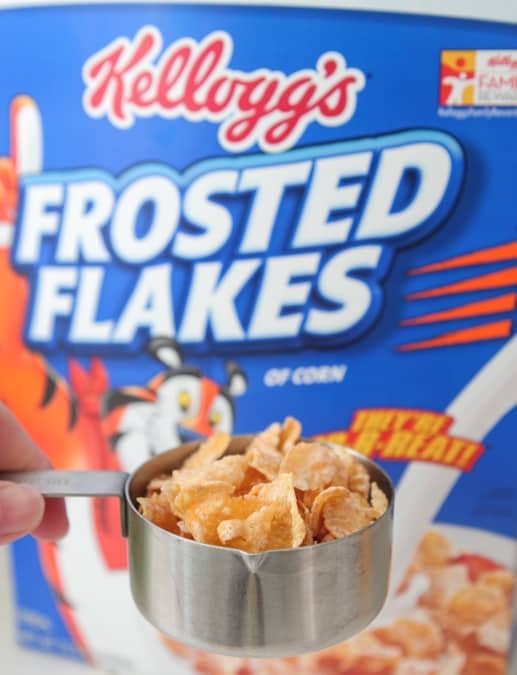 This would be perfect for the frosted flakes lovers in my house! Those look crazy decadent! Yum! These remind me of Special K cookies that my mom would always make. The cookie was just a little bit salty to go with the sweet, they were always perfect. Hi. Speaking of putting cereal and other favorite breakfast items in cookies, I just tried one with the instant Quaker oatmeal packets. It was delicious! Maybe you could invent a cookie recipe with the oatmeal packets. Thanks for the great recipes. 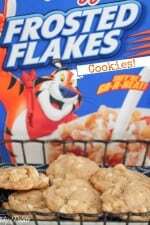 I love frosted flakes and I love cookies, this seems like a winning combination to me! I love a good crunch in my cookies. So smart, Jenny! 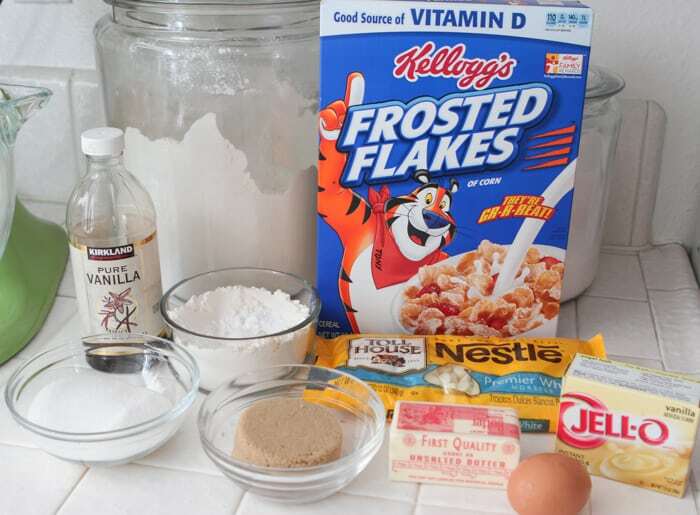 LOVE this idea of using frosted flakes in the recipe! Frosted flakes are one of my favorite cereals. I always have some at home. Your cookies look so delicious! And some crunch in cookies sound great. I have an extra box of Frosted Flakes, so I will be making these tonight. I also have extra craisins (dried cranberries). I love white chocolate cranberry muffins and was wondering what it might be like putting cranberries in these cookies. A little sweet a little tangy??? Wow! Jenny, these are pure genius! Any suggestions on how to keep cookies from getting completely flattened out in the oven? I followed your recipe exactly–it looked delicious! My cookies flattened out and long before the time ran out, they were completely burned on the outer edges and raw in the middle. It was horribly disappointing! I’ve always had this problem and have tried lots of different suggestions, all to no avail. I have the exact same problem with these cookies, they flattened out completely and were burnt on the outer edge while the middle was raw. I think next time I will cool the dough in the fridge for a few hours before baking, maybe that will help. I just made these cookies twice and both times, flat cookies. The chips were the thickest part of the cookie. First time, may have left butter out to long to soften, but second time, only set out for 25 minutes to soften. I have made several recipes from Jenny, but this one did not turn out as hers did in the above pictures. I wonder if the measurements are correct?